Cruisers and choppers are easy to recognize from their low-revving V-twin engine and riding position which places the foot forward and the hands up relatively high. At low to moderate speeds cruisers are more comfortable than other styles, but riding for long periods at freeway speeds can lead to fatigue. 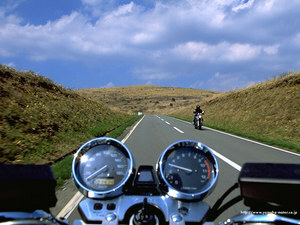 Choppers are a type of cruiser, which feature a longer frame design and a stretched front end.